Earlier this year, London architect practice, Barr Gazetas approached us to consider using our Breathaboard and Breathaplasta products in their low carbon office refurbishment project for the UK Green Building Council (UKGBC). This was an opportunity we couldn’t pass up! We have worked with Barr Gazetas through 2016 to help effectively specify our products on a project that had high ambitions. The brief aimed to balance the health, wellbeing and productivity of the twenty-five regular office users with outstanding resource and energy efficiency and a low carbon approach. The project was a great success and we had very positive feedback from the installers on site. 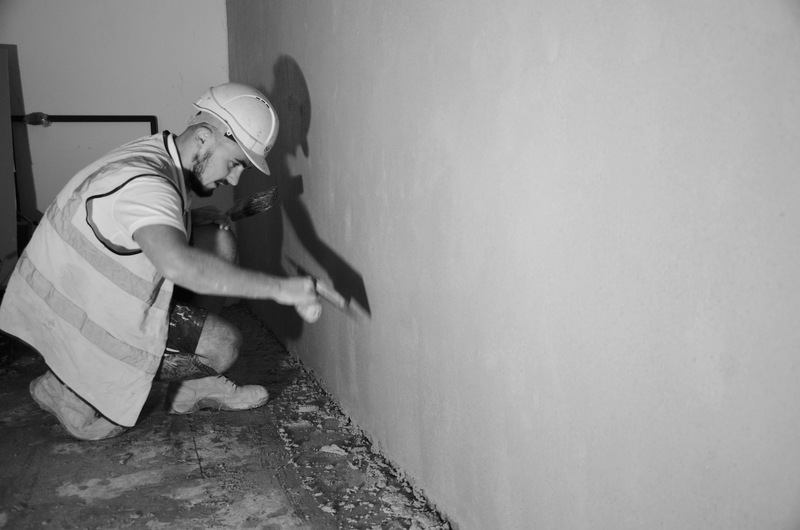 Aaron the plasterer, who was using Breathaplasta said: “It is really easy to mix and use. I would definitely use this again.” Rob, the dry-lining contractor said: “Breathaboard was no issues to install. It is light and easy to cut and it doesn’t make you itch! It is just like the conventional boards to install” This feedback is great to hear as Adaptavate founder Tom, had designed the products to be as easy as the common products to install. Plastering of Breathaboard in UKGBC ‘Board’ room. This highlights that our products really can be used and installed in exactly the same way as conventional products – just how they were designed. But, as well as this you have the added performance benefits, as well as our products being better for our environment! 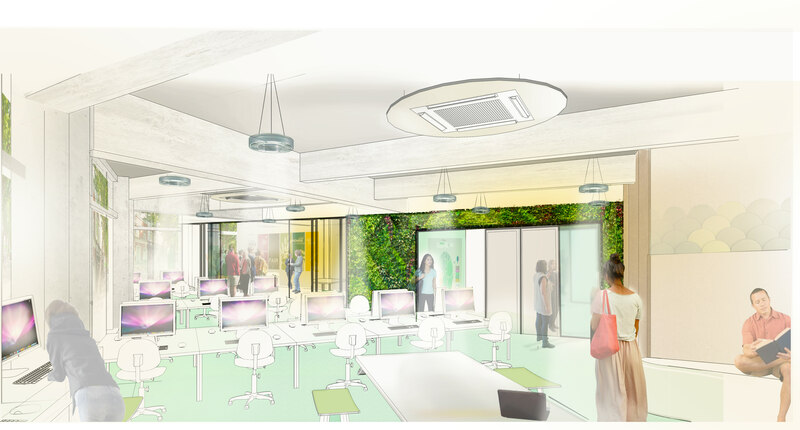 The UKGBC office refurbishment achieved their low carbon aims and is considered to have achieved the lowest carbon office retrofit in the UK whilst maintaining a healthy, stylish working environment.